PROBLEM: You suffer from dry skin –which can range anywhere from annoying to extremely uncomfortable, causing both physical and emotional angst. 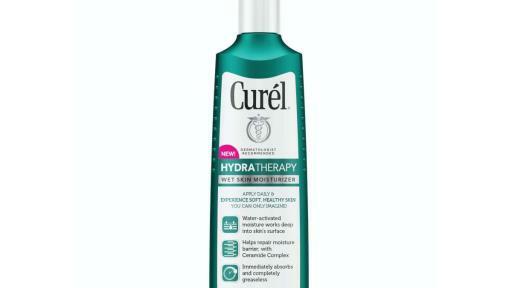 SOLUTION: Curél® Skincare’s groundbreaking HYDRA THERAPY WET SKIN MOISTURIZER, a revolution in wet skin technology that doesn’t simply calm, smooth and soften, but also heals dry skin and restores your body’s ability to retain its own much-needed moisture. Jessica Shyba on ending dry skin – for good. 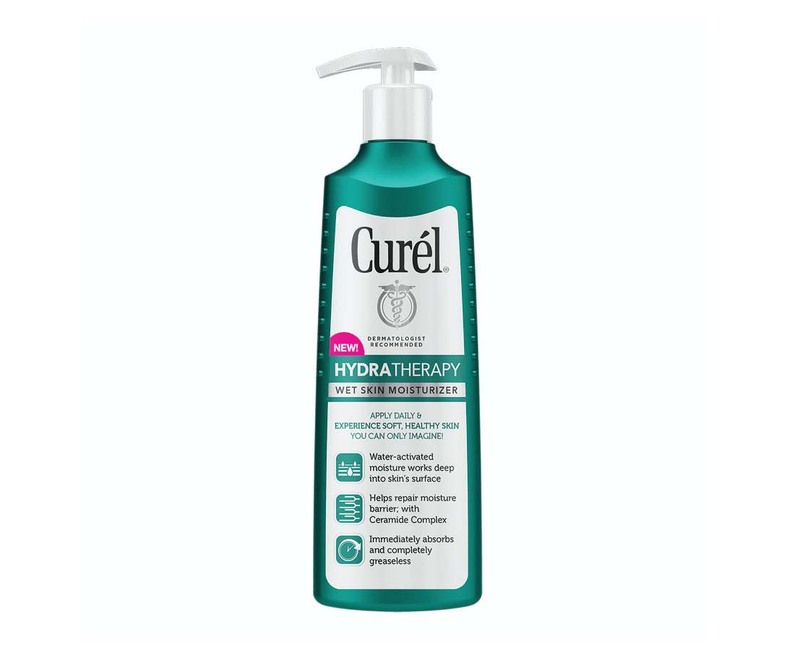 a breakthrough water-activated formula that instantly sinks into moist skin, diving deep into the surface to soothe, repair, and lock in long-term hydration. Thanks to an exclusive blend of moisturizing emollients, it glides on smoothly and seamlessly – without any kind of heavy, greasy or sticky feel. a proprietary ceramide complex which helps to replenish and fortify the skin’s natural moisture barrier so it can maintain maximum hydration. The technology behind Curél’s Advanced Ceramide Complex has been enhanced with three additional ceramides working together with our proprietary synthetic pseudo ceramide SPLE. It also utilizes eucalyptus extract, which is known to increase natural ceramide production in the top layers of the skin. When combined with the pore-opening power of wet skin technology, the potency of these skin-saving ceramides is increased, and they penetrate deep into the skin’s surface, stopping dry skin right where it starts. two soothing and restorative ingredients – allantoin and panthenol – to ease dry, itchy and uncomfortable skin on the spot, while also retexturing the skin’s dry and scaly surface. 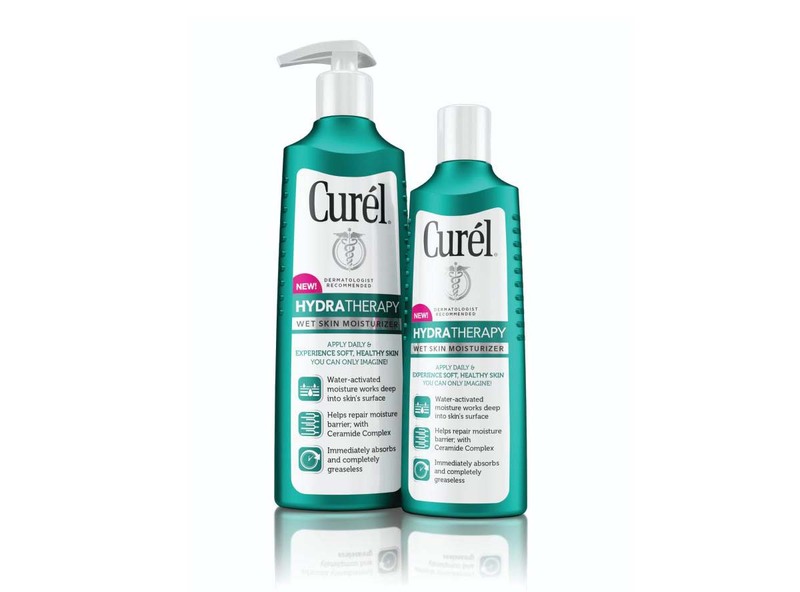 cationic technology that binds together the positive charge from Curél® HYDRA THERAPY WET SKIN MOISTURIZER’S innovative ingredients with the negative charge of moist skin. This natural attraction ensures long-lasting moisture, as well as skin that feels exceptionally silky and smooth. This technology combined with lactic acid, gives the formula a PH comparable to the skin’s natural PH, which is ideal for sensitive skin. SERIOUS SKINCARE THAT’S CONVENIENT: Dealing with the daily effects of chronically dry skin is an incredibly frustrating and time-consuming process. 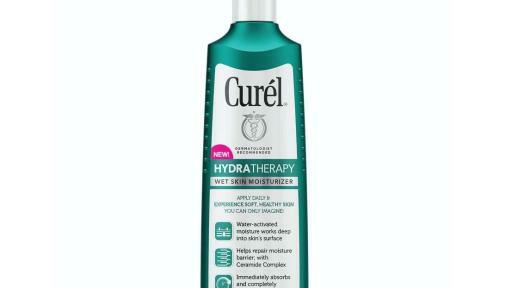 Curél® HYDRA THERAPY WET SKIN MOISTURIZER offers a solution for dry skin to severely dry skin with its water-activated properties that penetrate deep into skin’s surface. 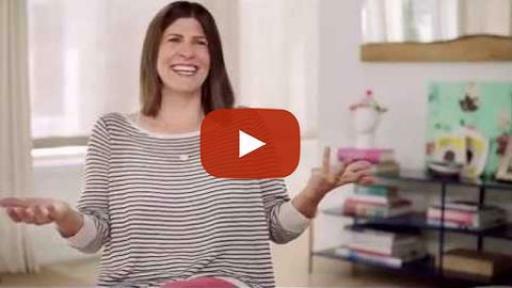 Plus, it all happens in the shower – no rinsing required – so you can just dry off, dress and go! 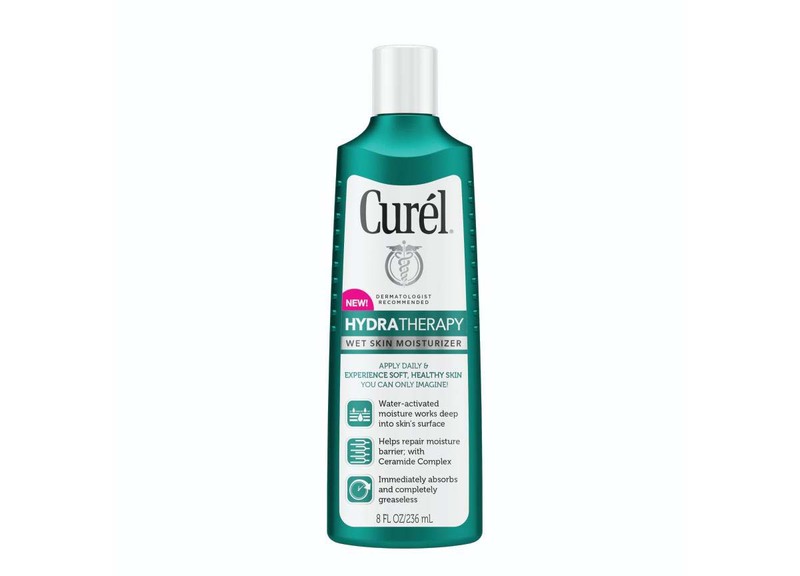 By incorporating Curél® HYDRA THERAPY WET SKIN MOISTURIZER into your regular showering routine, you can finally conquer your troubling skin issues – and achieve soft, sustainably healthy skin for life. 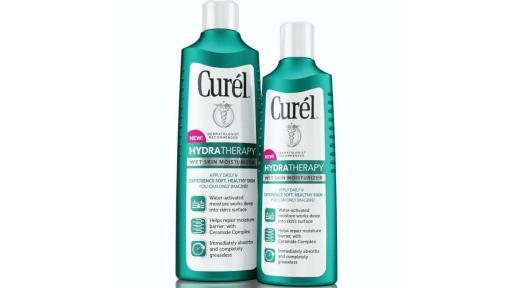 Please visit Curel.com to check out the Break the Rules of Dry Skin Video Series. Kao USA Inc. is a leading manufacturer of premium beauty care brands that are recognized around the world for their innovation and quality. The Kao USA Inc. portfolio includes Ban® antiperspirant-deodorants and Total Refresh® Cooling Body Cloths; Jergens® and Curél® hand and body lotions; Bioré® facial care; John Frieda® Frizz-Ease®, Root Awakening®, Luxurious Volume, Sheer Blonde®, Brilliant Brunette®, Radiant Red®, Full Repair®, Luminous Glaze Clear Shine Gloss, Precision Foam Colour and Colour Refreshing Gloss. Founded in 1882, Kao USA Inc. is a wholly owned subsidiary of Kao Corporation.